While virtually every leader has a sense of what “authenticity” means, few know how to develop it as a skill. As a result, leadership teams espouse it as a value, but it ends up as a lofty word on a mission statement. Authentic leadership is more important than you might think. From what our coaches here at Turnkey observe in most companies, employees at all organizational levels seek meaning and fulfillment at work and most are willing to work hard for authentic, trustworthy leaders. Leadership authenticity in today’s rapidly evolving global marketplace has its share of challenges. Turnkey Coaches have noticed a few problems when leaders try to be perceived as more authentic. We’ve seen that leaders who cling to a rigid view of themselves can come across as inauthentic. Being true to yourself. Which self? Depending on the role and the context, a leader can show up differently. Leaders grow and shift with experience and evolve into new roles. How can one be authentic to a future self that is uncertain and unformed? Maintaining strict coherence between what you feel and what you say or do. Leaders lose credibility if they disclose everything they think and feel, especially when they’re unproven. Making values-based decisions. When leaders move into a bigger role, values shaped by past experiences can misguide. In the face of new challenges, old decisions may produce authentic, but wrong, behaviors that fail to suit new situations. As we’ve learned from well-documented business failures and leadership catastrophes, when boards choose leaders for the wrong reasons—charisma, not character; style over substance; or image instead of integrity—people lose trust in their leaders and companies. In 2012, when trust began to climb after several rocky years, only 18% of employees surveyed said they trusted business leaders to tell the truth, according to the Edelman Trust Barometer. Fewer than 50% trusted businesses to do the right thing. Leaders cannot be adequately described by lists of traits or characteristics. In 2003, Bill George’s book, Authentic Leadership: Rediscovering the Secrets to Creating Lasting Value, challenged a new generation to lead authentically. Authentic leaders demonstrate a passion for their purpose, practice their values consistently, and lead with their hearts and heads. They establish long-term, meaningful relationships and have the self-discipline to get results. They know who they are. Frame their life stories in ways that allow them to see themselves as proactive individuals who develop self-awareness from their experiences. They know their stories and use them to teach others. Act on this self-awareness by practicing their values and principles in action. Are careful to balance their motivations so they’re driven by inner values as well as a desire for external rewards or recognition. Keep a strong support team around them, ensuring they live integrated, grounded lives. “Leaders are defined by their unique life stories and the way they frame their stories to describe their passions and the purpose of their leadership,” notes George. The journey to authentic leadership begins with understanding your life story, which provides a context for your experiences. Your story is powered by experiences that can help you inspire others and influence them to follow your lead. That said, life stories are not always pretty. While most of us can reframe negative experiences in a positive light, authenticity requires us to face up to our mistakes and failures. An honest appraisal may prove uncomfortable, but it’s necessary for self-improvement. It also paves the way for authenticity and resilience. Mistakes are inevitable, but learning from them is a choice. Authentic leaders continually examine their crucible moments and move forward, gaining strength along the way. When the 75 members of the Stanford Graduate School of Business’ Advisory Council were asked to recommend the most important area of leadership development, their answers were nearly unanimous: self-awareness. The values that form the basis for authentic leadership are derived from your beliefs and convictions, but you cannot truly know them until they’re tested under pressure. Leadership principles are values translated into action. Without action that supports your stated values, you cannot be authentic. The hard decisions you make reflect what you truly value. As an authentic leader, you must sustain high levels of motivation to keep your life in balance. Know what drives you. If you’re like most leaders, you may be reluctant to admit that you measure your success against the outside world’s parameters. You enjoy the recognition and status that come with promotions and financial rewards. But intrinsic motivations are derived from your life’s meaning and purpose. 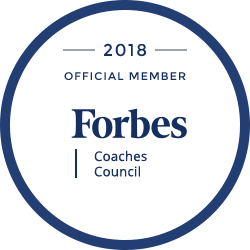 They’re closely linked to your life story and how you frame it (i.e., personal growth, helping other people develop, social causes, achieving results and making a difference in the world). Authenticity requires you to balance your desire for external validation with the intrinsic motivations that provide fulfillment at work. Authentic leaders build extraordinary support teams to help them stay on course. Team members provide counsel in times of uncertainty, offer extra assistance in difficult times and share in celebrations of success. Support teams consist of spouses and families, close friends and colleagues, and mentors and coaches. Leaders must give as much to their supporters as they receive from them. Only then can mutually beneficial relationships develop. As you read this article on authenticity and leadership, we here at Turnkey Coaching Solutions ask you to think about the basis for your leadership development and the path you need to follow to become more authentic. Which people and experiences in your early life had the greatest impact on you? Name your most deeply held values. Where did they come from? Have your values changed significantly since your childhood? How do your values inform your actions? What motivates you extrinsically? What are your intrinsic motivations? How do you balance extrinsic and intrinsic motivations? What kind of support team do you have? How can your support team make you a more authentic leader? How should you diversify your team to broaden your perspective? Is your life integrated? Are you able to be the same person in all aspects of your life (personal, work, family and community)? If not, what’s holding you back? What does authenticity mean in your life? Are you a more effective leader when you behave authentically? Have you ever paid a price for your authenticity? Was it worth it? What steps can you take today, tomorrow and over the next year to develop authentic leadership? Ultimately, superior results over a sustained period of time depend on authentic leadership. It may be possible to drive short-term outcomes without being authentic, but authentic leadership is the only way we know to create sustainable long-term results. What do you think? What’s happening in your organization? We’d love to help. You can call us at 281-469-4244 and ask how a free Organizational Development consultation might help your organization. We’d love to hear from you.